What did a Cocktail taste like in 1842? 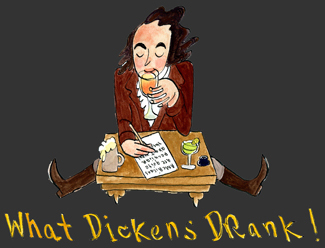 Join us as we bring to life the drinks from the pages of Dicken's book and from the archives of historic gastronomy. Like any good tourist, when Charles Dickens visited America in 1842, he sampled the local food and drink. Of American bars, he said: "...The stranger is initiated into the mysteries of Gin-sling, Cocktail, Sangaree, Mint Julep, Sherry-cobbler, Timber Doodle and other rare drinks." For one evening, we will be tourists in time and mix up these antique potations. During this history lesson in flavor, guests will not only sip early American cocktails, but also learn how to make them. Join us as we recreate Dickens' experiences abroad by reproducing the spirits of his journey. Sarah Lohman is an artist, writer, and "historic gastronomist" currently living and working in New York. Her projects can be seen on her blog, Four Pounds Flour, chronicling her foray into food and her website Sarahlohman.com. Drawing by Peter Van Hyning.